Often called "The Vineyard" by locals, Martha's Vineyard is a tiny 100 square mile isolated island, located just south of Cape Cod, Massachusetts. We thought it would be fun to combine this fabulous vacation destination and a red, white and blue flag on a needlepoint flask. 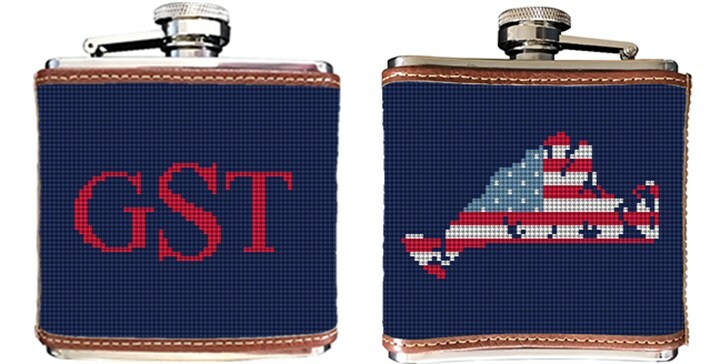 When planning your Martha's Vineyard needlepoint flask canvas, please let us know what monogram you would like to use.